Pupils will be expected to attend punctually throughout the school year. Leave cannot be granted for family holidays during term time. Our term dates primarily coincide with the local authority schools, however some dates (around Ramadan and summer) may differ slightly. Please bear this in mind when applying. Any absences should be reported to the school as soon as possible, by phoning the office and leaving a message if necessary. However, we urge all parents to ensure their child attends school, keeping their absences to an absolute minimum. We would strongly urge parents not to plan any trips during term time. Please discuss any personal circumstances with the Headteacher. 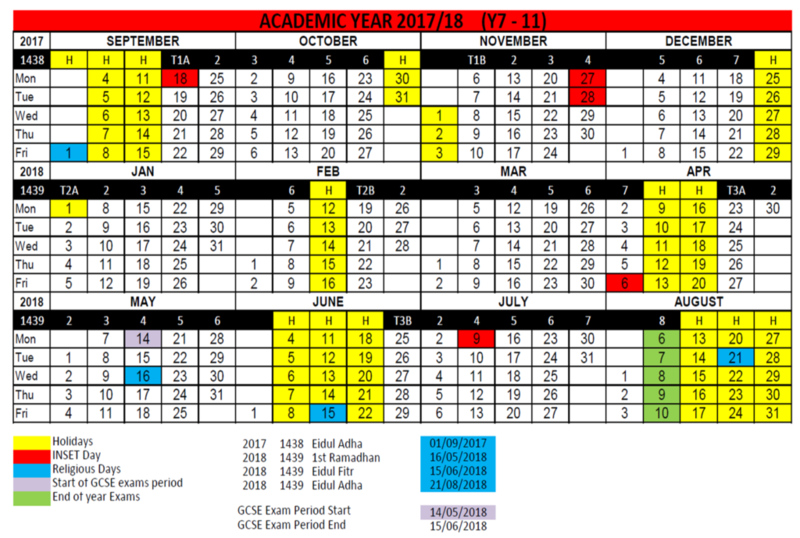 The school reserves the right to alter holiday dates according to the Islamic calendar. 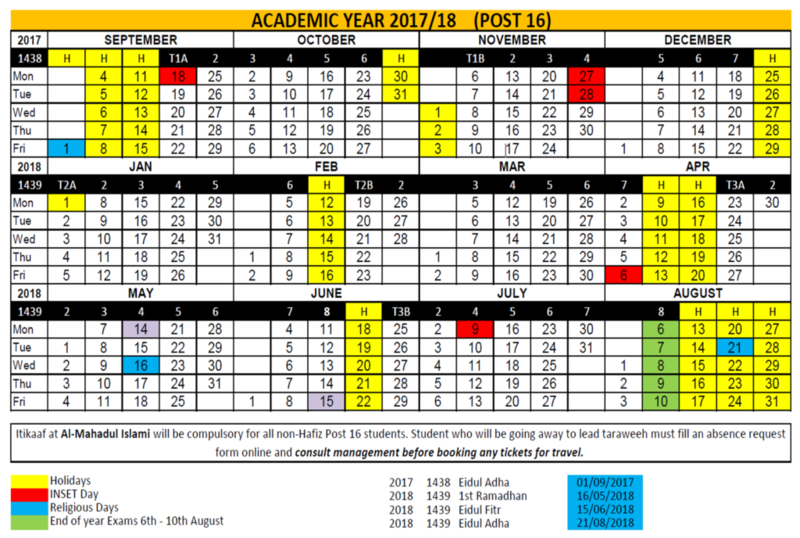 There may be occasional student holidays due to INSET days (staff training days).